Monthly rentals at Khan market stood stable at Rs 1,250 per sq ft in the past one year, but still its ranking improved. In the 2016 report, it was placed 28th. 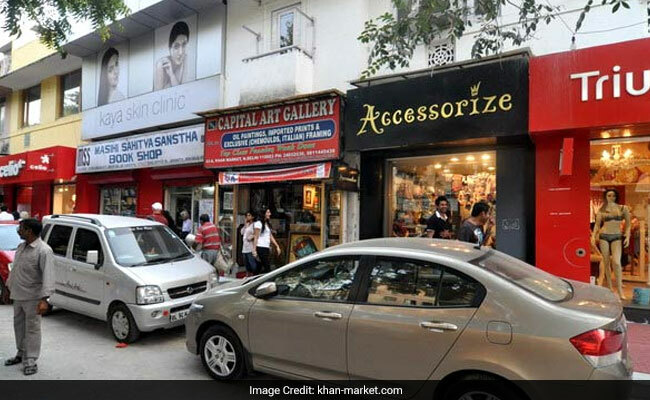 New Delhi: National capital's upscale Khan market has moved up four positions to become the world's 24th most expensive retail location even as it continues to be the costliest to hire a shop in India, according to Cushman and Wakefield report. "Delhi's Khan market has emerged as the most expensive retail location in India and has clinched the 24th position in global rankings," the consultant said. The rise of Khan market in the global rankings since 2016 is because of a drop in rentals in some key global markets, it added. New York's Upper 5th Avenue retained its numero uno position while Hong Kong's Causeway Bay and London's Bond Street were ranked second and third, respectively. The survey took into consideration over 400 retail locations globally across 66 countries for the annual survey. "The retail sector in India has remained cautious in activities even though there was a visible momentum in leasing across main streets as well as shopping centres," said Anshul Jain, Country Head and MD-India, Cushman and Wakefield. Leasing activities across most key micro-markets were led by food and beverages and fashion and lifestyle brands, he added. In the Asia-Pacific region, Indian markets fared better, with Khan market coming in at the 11th slot. Gurugram's DLF Galleria and Mumbai's Linking Road secured 19th and 20th positions, respectively. "These micro-markets have been commanding high rentals as these are established retail destinations due to factors like their geographic locations allowing access to larger catchment for the retailers," the consultant added. Khan market in New Delhi and Linking Road in Mumbai have also had a strong presence of high-end global and domestic brands. Within India, Connaught Place in New Delhi recorded the highest year-on-year rental growth of 11.8 per cent at Rs 950 per sq ft a month. "Connaught Place, which had slipped from its previous superior retail destination status, saw renewed interest from retailers across categories. The location has gone through a reinvention in the last few years, with the metro construction being completed and making it easily accessible from across the city," the consultant said.